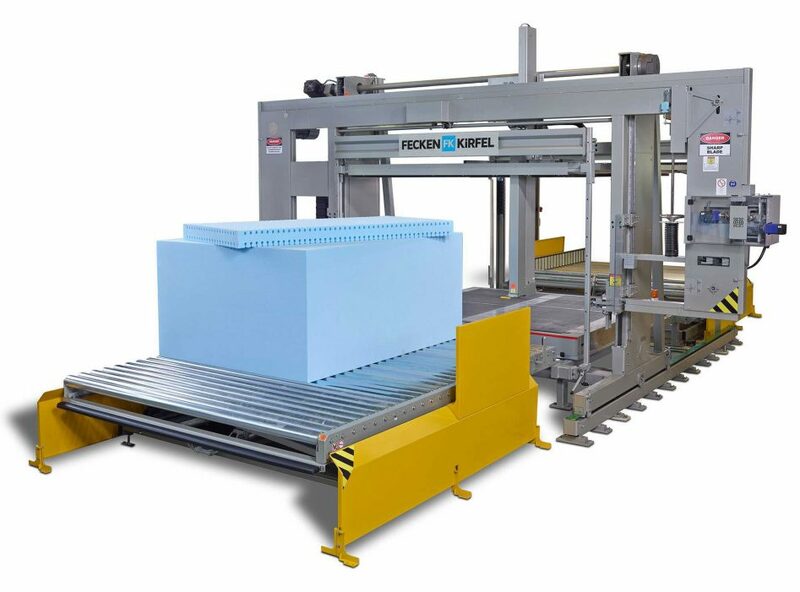 FECKEN-KIRFEL is one of the world’s leading cutting machine manufacturers for foam, rubber, solid plastics and cork processing. The company offers a large variety of machine types, such as horizontal and vertical splitting, profiling, contour-cutting and peeling machines. To optimize material utilization and improve nesting performance, FECKEN-KIRFEL replaced its old nesting tools with Alma’s advanced nesting solution, proven to have superior functions and additional benefits. Its comprehensive features and adaptable programming enable Alma’s nesting software component range to cover every nesting need of the machines produced by FECKEN-KIRFEL. The story began when FECKEN-KIRFEL found out that its old nesting library was no longer being updated and that its drawing tool (DOS) was outdated. This made it difficult to cater to their customers, to say the least. The situation pushed the company to find a better solution. Highly recommended by its suppliers, Alma was finally chosen as a long-term partner. With the fully automatic and comprehensive nesting functions provided by Alma, FECKEN-KIRFEL is able to run a complete workflow in a few clicks: from importing order files or performing nesting to creating cutting jobs for their machines and production documents. While FECKEN-KIRFEL enjoys the fully automatic mode, its clients also appreciate the capacity to manually edit a component or move a part. Besides, thanks to the data preparation tool contained in Alma’s nesting component, FECKEN-KIRFEL´s « PickByView system » helps identify parts and print the corresponding labels. Accounting for 30% of its business, vertical and horizontal CNC machines are an important branch for FECKEN-KIRFEL. Alma’s Drafter software module is widely used in all types of CNC machines, to create contours geometries. PowerNest and Opaline 3D are also specifically used in vertical CNC machines. They meet the machines’ complex true-shape nesting requirements, essential for various industries such as furniture, packaging automotive, etc. Hundreds of thousands of parts come out of vertical contour-cutting machines. Each one must be nested automatically and individually. To complicate the matter, the operator doesn’t know which part is in which position. Thanks to the flexibility and customizability of Alma’s nesting API, FECKEN-KIRFEL was able to create a special identification plug-in to simplify the use of its unload operator (PickByView). This tremendously helps the operator find and sort through the parts, according to the orders they belong to. Alma provided help and support to FECKEN-KIRFEL during the entire integration process, and was able to adapt to their specific needs. FECKEN-KIRFEL’s technical teams were particularly happy to have direct contact with Alma’s developers.